Neil Emerton is a Researcher in Microsoft Corp.’s Applied Sciences Group, developing interactive input and display devices. 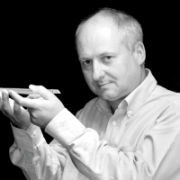 Neil's background includes work on optical systems and digital printing technologies. He holds a BA from the University of Oxford in Natural Sciences and a Ph.D. from Imperial College London for his work on the design and fabrication of diffractive (holographic) lenses.